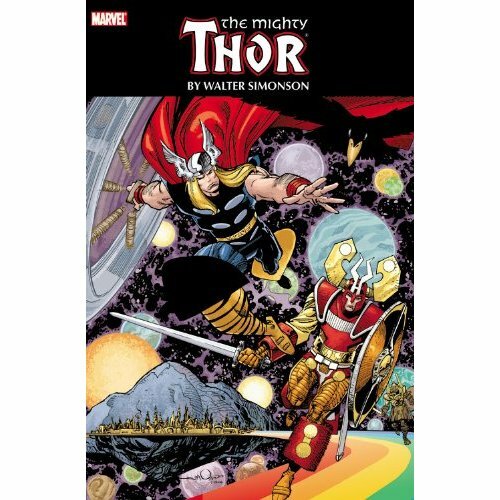 Just in time for the release of Marvel Studio's motion picture Thor, which opens on May 6, 2011, the Baltimore Comic-Con is happy to announce classic Thor writer/artist Walter Simonson as a confirmed guest for this year's show. Simonson is best known for his run on The Mighty Thor throughout the 1980s. His classic run was recently collected by Marvel in The Mighty Thor Omnibus by Walter Simonson, a massive tome which featured issues #337-355, #357-369, and #371-382, as well as the mini-series, Balder the Brave #1-4. Simonson will be joining a host of other creators who have worked on the God of Thunder attending this year's show, including inker Mark Morales and colorist Laura Martin. Morales was nominated for the Harvey Award for Best Inker on Thor in 2008, 2009 and 2010, winning the Award in 2009. Martin was nominated for the Harvey Award for Best Colorist on Thor in 2008 and 2009, taking home the Award in 2008. Both artists were part of the creative team that reintroduced Thor and the other Asgardians into the Marvel Universe. "Walter Simonson is one of the seminal creators to have both written and illustrated Thor," said Marc Nathan, show promoter of the Baltimore Comic-Con. "His work redefined the character in the '80s, and with the release of Marvel Studio's Thor next week, the timing to revisit his run couldn't be better. We are thrilled to have him attending the show again this year."